Being a Mum is a truly special job, hardworking but oh so fulfilling. 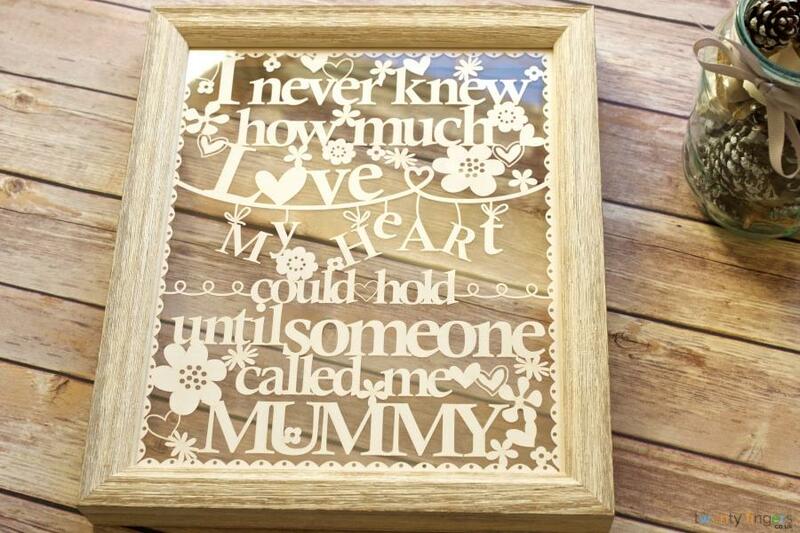 Gift this gorgeous and heartfelt papercut to that special Mum in your life or give it to your own kids to tell them how much you love them . 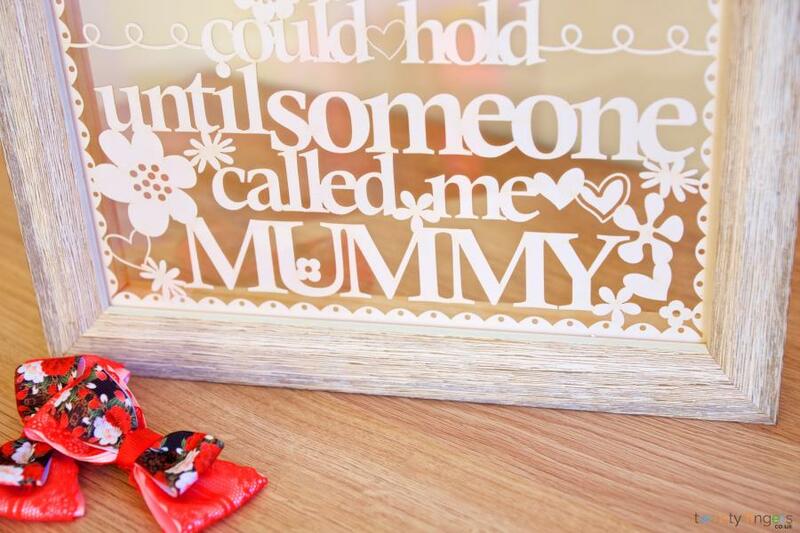 We reckon this perfect present hits the joy and fulfilment of being a Mum right on the nose. 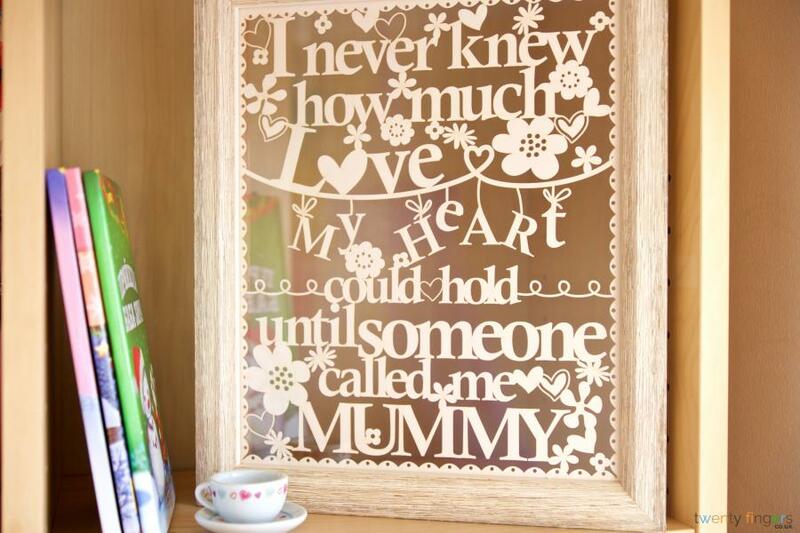 Present it to your little treasures and they’ll know for sure they’re special­, or buy it for your partner to hang in the nursery. This one’s a real one off that won’t have been seen before. So if you want to give something that’s both original and thoughtful this is the gift to pick. 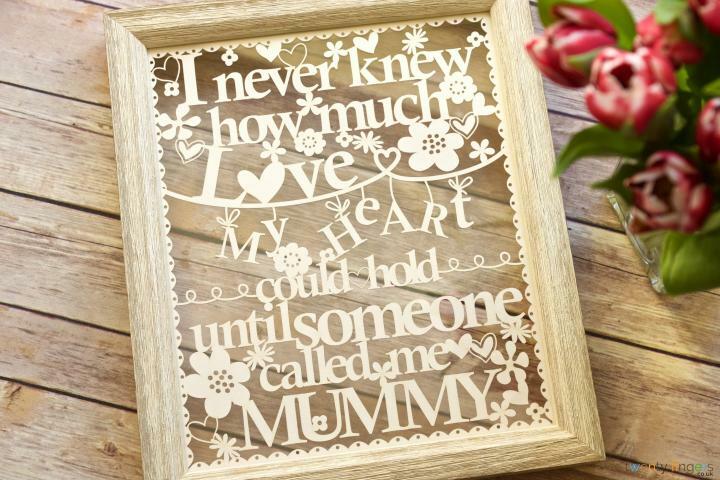 We think this gorgeously girlie gift could also make a perfect pressie for a special daughter heading off to uni or away from home for the first time to let her know her Mum still cares and to remind her of home. 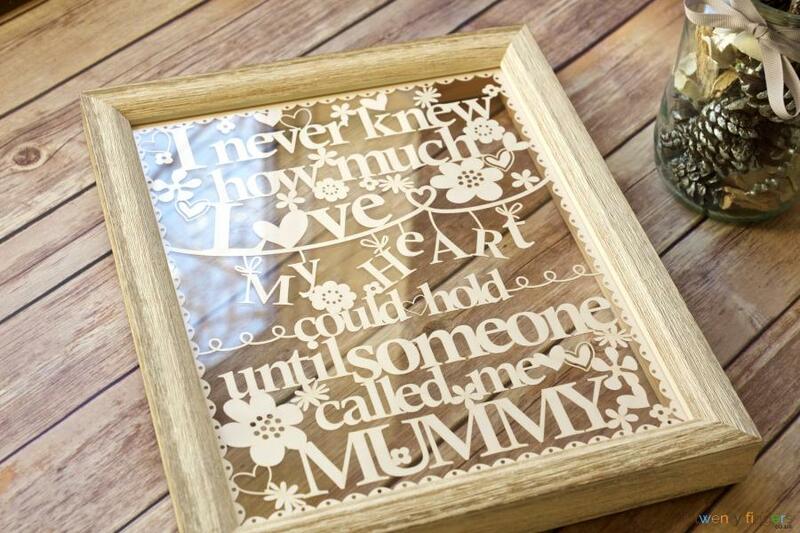 This piece is just perfect to display around the house anywhere as a stunning reminder of mum’s happiness. Choose the colour you want us to craft your artwork in, select the size you want and then pick out the frame, to add that truly personal touch to your present. We know you’ll agree this lovely papercut will make an eye catching addition to any living space. Choose the frame (unless you want it unframed and will frame it yourself). You can select from white, black, ivory, walnut effect, or real unfinished oak and you can also opt for our floating frame option for a truly modern finish. If you’re opting for one of our traditional style frames, remember to select the background colour you want too. Framed using one of our unique, handmade floating frames designed by us and made by our local framers in Buckinghamshire. The frame inner measure 10” by 12” or 12” x 16”. Framed using one of our traditional style frames using the background colour of your choice to complement your unique piece. Unframed. If you have your own frame or are not sure about matching colours and décor, you can order your piece without a frame. We’ll design and cut it for you. It will be temporarily mounted to corrugated paper to ensure it won’t get damaged on its way to you.